Charlotte Harding was trained as an artist at the School of Design for Women (now Moore College of Art) in Philadelphia and then at the Pennsylvania Academy of the Fine Arts. Between 1897 and 1899 Harding studied illustration with Howard Pyle at Drexel Insitutite. 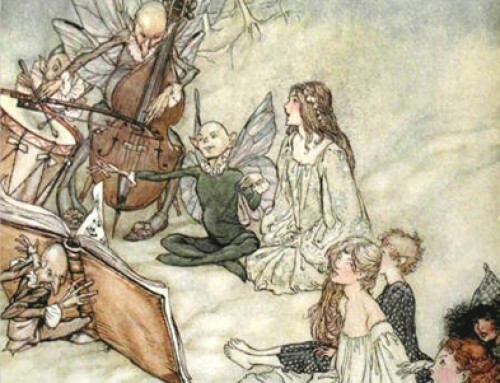 Under Pyle’s direction she prepared illustrations for two novels and by 1900 Charlotte Harding’s work was appearing regularly in a variety of popular periodicals. 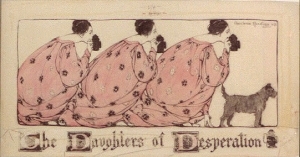 In 1903 Charlotte Harding produced this headpiece and title illustration block for a Collier’s Weekly story, “The Daughters of Desperation,” published in 1904. It was Collier’s new editor, Norman Hapgood (1868-1937), who set out to attract many of the leading writers and the best illustrators to the periodical’s pages. While the alliterative story title is certainly compelling, it is the repetitive nature of the image that draws my attention. The rhythmic figures of the women crouching and leaning forward to take a photograph are at the heart of the success of this decorative headpiece illustration. Each of the three women wears the same loosely constructed dress, each also bears the same face, and each mimics the other in the way they hold their cameras. But each figure is also slightly different than the other. As they repeat left to right, the relative size of each figure is slightly larger than the one left of it. Also each of the lady’s dress’s is slightly different from the other in their specific and voluminous details. Before the turn-of-the-century, in an age of elaborate and restrictive fashions for women that included whale bone corsets and wire framed bustles, there was a movement in England and America to simplify women’s clothing in its structure and form. 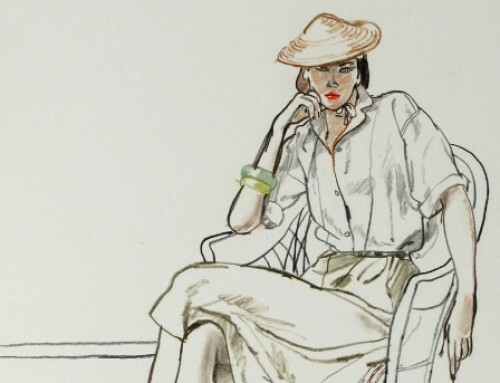 Called aesthetic dress, its advocates called for loose-fitting, unstructured garments made of simpler materials such as cotton or wool in earthy tones. Meant to be a healthy alternative, it is the loose nature of the aesthetic dress that would have allowed the pictured daughters to crouch and lean in order to take their photos. 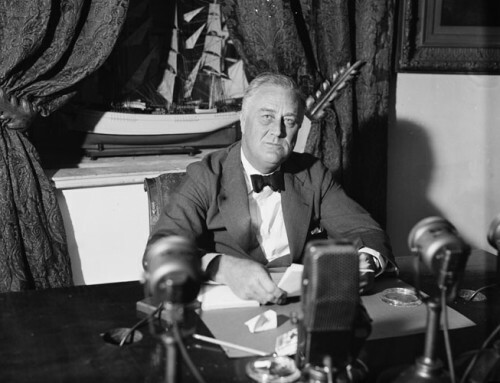 The repetitive rhythmic aspect of the Harding image is reminiscent of another famous illustration done a decade earlier by the American Will Bradley. 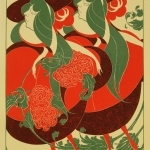 Popularly called “The Twins” (see below), Bradley created his art nouveau-inspired illustration as a poster and cover for a little literary magazine produced in Chicago, The Chap-Book. 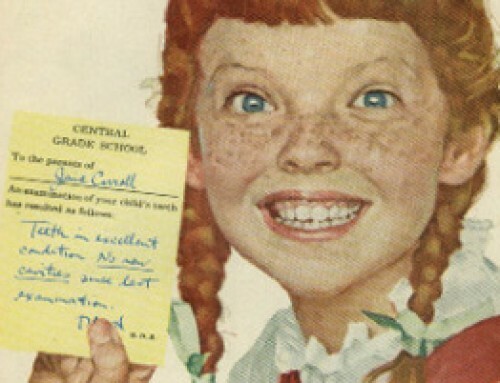 While reaction to Bradley’s poster was mostly humorous, it clearly remained an image of influence for others. In front of Charlotte Harding’s women in her illustration is a singular dog. Being a dog fancier myself, I find the stalward figure of the attentive terrier charming. Indeed the stillness of the dog’s pose reminds me of my own terrier so focused on something that his still body all but quivers in its stopped action. If this dog were a stringed insturment it would hum. The combined images of stillness with all the figures poised in wait reminds us that in the early days of photography both the photographer and the people being photographed had to keep very still in order to produce a viable image.